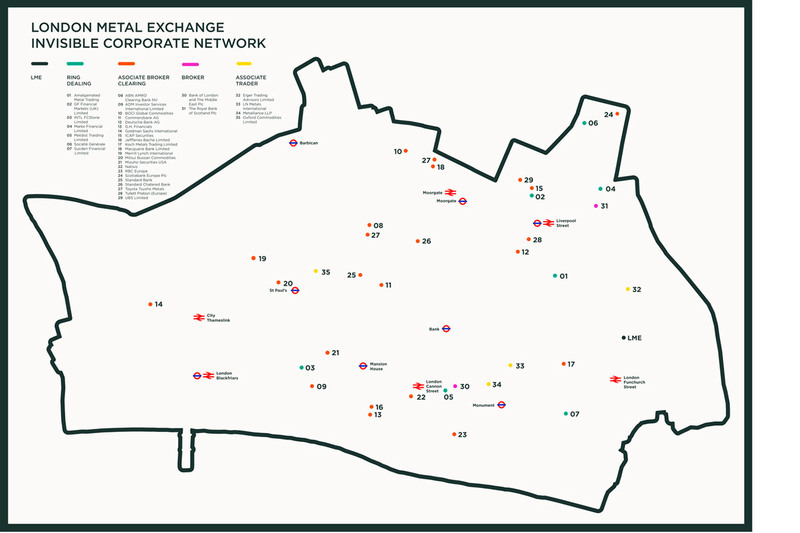 Work exploring a network of 35 companies trading with the London Metal Exchange (LME) within the City of London, the global centre for mining investment. The LME opened in 1877 using a standard three-month contract, reflecting the time necessary to transport copper from Chile and tin from Malaya to Britain. 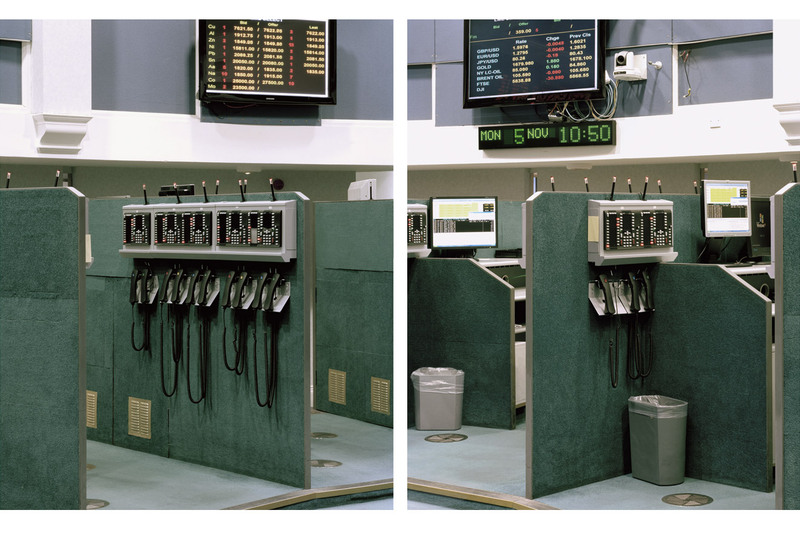 Today, the LME is the world's most important trading metals market, a meeting place of buyers and sellers of metal futures. Metal futures is a market exchange instrument designed to secure the future price of copper in the face of market volatility and is used mainly as an investment mechanism. The speculative nature of the business can mean that metals are exchanged up to forty times before they are delivered to the final consumer. Using the LME’s seven categories of trading membership, the project builds an archive of information available in the public domain. Images for each company were collected from Google Earth and Google Street View. 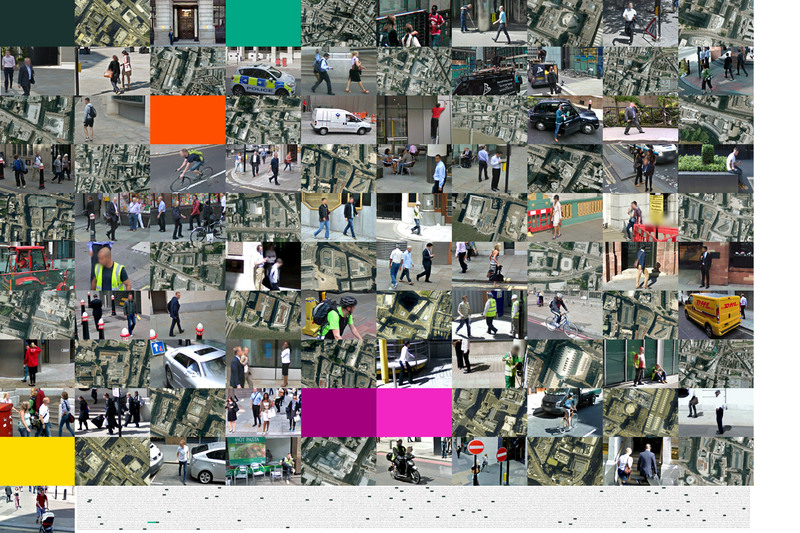 The images focused mainly on two aspects of human activity: 1) Labour – the workforce engaged in labour activities, such as cleaning or building; and 2) Mobility – people on the move, either cycling, driving or walking.